Founder - Curtis C. Bailey As a kid growing up in beautiful Northern California, Curt Bailey was always outside. With three older brothers and a little sister in tow, there was never a dull moment and many crazy adventures in Chico Creek, Butte Meadows or even their own backyard. Although Curt’s parents, Tom and Sharon Bailey, ran their own cattle ranch, Curt spent much of his time tinkering with whatever electronics and gadgets he could get his hands on. In 1973, at 22 years old, Curt enlisted in the United States Army and served in the Korean War as a journalist photographer under the Second Infantry. Soon after arriving back home in the States, Curt got a job working for his local parks maintenance and from there his love of parks, nature and all things outdoors grew into a passion that quickly ignited action. After seeing first-hand what uncontrolled litter, graffiti and vandalism can do to the environment and the quality of parks, Curt threw himself into inventing and patenting new and improved products such as Etch Resistant No Glass Mirrors, Soap Dispensers and even Electric Hand Dryers. These vandal proof products now not only serve in parks, but rest stops, bars, and even US Navy Aircraft carriers. 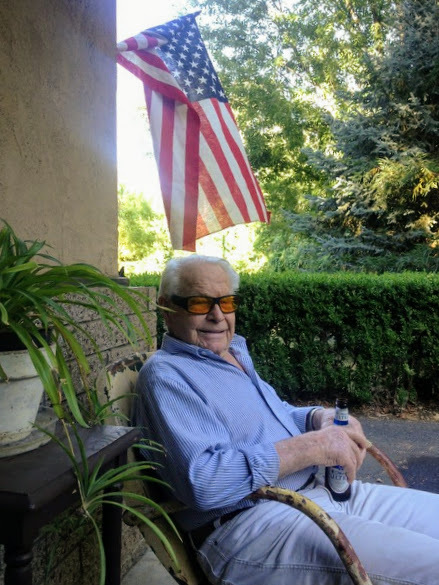 Curt was also an avid participant of the community in other ways including being a member of the Forest Ranch Lions Club and maintaining Chico’s Veterans Memorial. His biggest passion outside of outdoors was his family’s history and after months of research on the Bailey’s lineage and connection to the Hoghton Towers located in Preston, England, Curt was able to travel overseas and walk the very grounds of the castle he had read so much about. Shortly thereafter, following a courageous battle with cancer, Curt passed away on August 2nd, 2015. However, he dedicated even his last months to make certain that Vandal Stop Products would stay the outstanding company that he had created it to be. 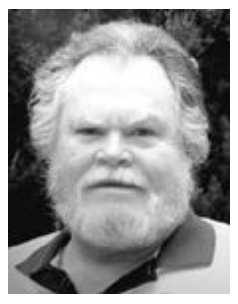 Partner - Thorson W. Bailey, better known as TW, was born on June 8th, 1924 into a very loving home. Growing up with two older siblings in southern Arkansas in the midst of the Great Depression, Tom learned how to work hard from a very young age. At 15 he once spent a whole day plowing with his favorite mule, Red so that he could ride her twenty miles round-trip that night to see Ronald Reagan in the 1940 film Knute Rockne All- American! In 1943, a year after graduating high school, Tom joined the Army Air Corps. He was then stationed all over the states including New York, Alabama and finally California. It was there in Chico, while stationed at the Chico Air Base as an airplane mechanic that Tom met his future wife Sharon Grace. After whirlwind courtship, they were married in June of 1945. Soon after, Tom graduated from Chico State University with a degree in accounting. As a father to five, four sons and a daughter, Tom worked many different jobs including realty, accounting and running a cattle ranch. Later in his life, Tom dedicated much of his time to the Chico Breakfast Lions Club, serving as president for two years in a row. Taking an interest in his son Curt’s Vandal Stop Products, Tom also became co-owner of Atlas-American and faithfully supported Curt all the way through. After passing away in spring of 2015, Tom’s legacy is not only carried on by Vandal Stop Products but his 5 children, 8 grandchildren and 15 great grandchildren as well. President - Robert T. Adamis As the nephew of the founder of Vandal Stop Products, Curtis Bailey and the Grandson of Thorson W. Bailey, Robert took an interest in all things mechanical and computers at an early age. During his early years of college taking engineering courses, Robert designed Vandal Stops first website at the request of Curt Bailey. 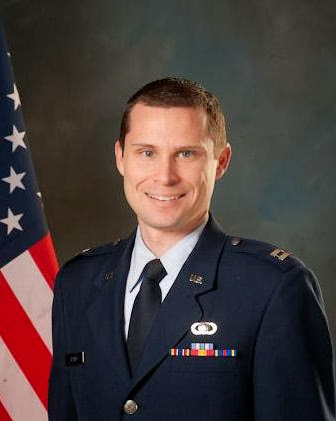 In 2005 after completing his degree in Aerospace Engineering, Robert was commissioned as a 2d Lt in the USAF where he served active duty first as an Operations Analyst testing the F-16, F-15E, A-10 and F-22 fighter aircraft. He later became an ROTC instructor teaching new cadets in Air Force History and Decorum. He then transferred to Defense Contract Management Agency (DCMA) and worked on the Advanced Extreme High Frequency (AEHF) satellite program and then the US Navy’s Fleet Ballistic Missile (FBM) Trident II D5 Program as a Program Integrator. After 11 years of Active Duty Service, Robert transferred into the Air Force Reserves and continues to serve when called. With the passing of Curt and Tom, Robert has now picked up the banner of Vandal Stop Products to carry it forward.